Cling Stamp from Impression Obsession featuring the sentiment "Always & Forever". Love or Valentine's Day themed Impression Obsession cling stamp featuring the sentiment "Bee Mine". Penny Black clear stamp featuring branches and the sentiment "Lots of Love". "Everyday I Love You More"
Filled with a fun assortment of love themed sentiments, the Forever Love Background is a wonderfully sized cling stamp that is ideal to use for a multitude of occasions. A beautiful assembling of scripts come together to create an eye catching background on card fronts for Valentine's Day, weddings, bridal showers, anniversaries or even thinking of you well wishes! 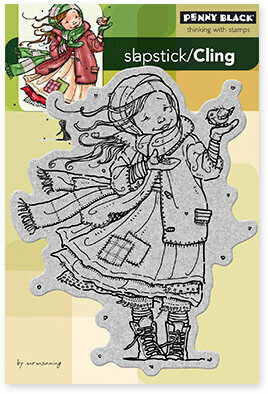 A perfect cling stamp for adding background imagery to layouts and mixed media pieces as well! 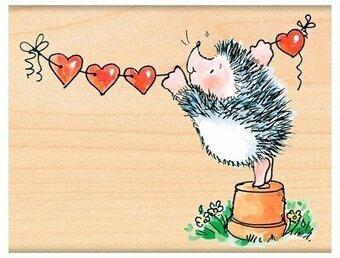 This cling stamp set is part of the Heartfelt Love Collection. Approximate Image Sizes: 1. Forever Love Background Stamp: 4.25" x 5.5", These cling stamps are ready to use with our Acrylic Blocks. Included with stamp set: 1. Storage panel for use with a two or three ring binder, 2. Stamp packaging can also be used as a storage box for the stamp(s). Clear stamps from Brutus Monroe featuring loving sentiments including "Just Married", "Welcome to the family", "Save The Date", "Welcome Baby", and "Congrats on your engagement". Cling Stamp from Impression Obsession featuring a background pattern of hearts. 5.75" x 5.75". Hero Arts and Basic Grey clear stamps featuring flowers, arrows, and the sentiments "Good Times", "Love", and "Hi". 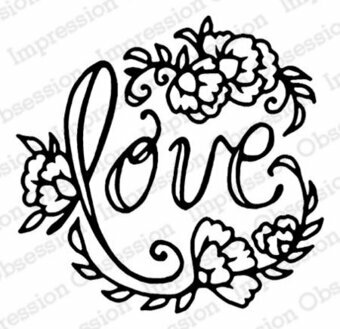 Love themed Impression Obsession cling stamp featuring the sentiment "I Love You". Clear stamps from Hero Arts featuring flowers, hearts, "Be Mine", and "Hello Love". Our clear design stamps peel off their backing and stick to acrylic blocks for easy positioning. Mix and match the designs, then easily store them for another time. Made by us in the USA from genuine photopolymer. Unmatched quality means a crisp impression every time. An angel kitty with a heart and a bouquet of flowers is perfect for Valentine's Day or friendship cards. Image measures approximately 4-1/4" X 2-3/4". This original design is copyright Laurel Burch. It is deeply etched and precision cut from premium gray rubber on a 1/8" gray rubber foam backing then mounted on a cling vinyl decal with full sized image for easier storage and use with an acrylic handle sold separately. Made in the USA. This Let It Shine Stamp from the Happy Grams #3 Collection by Tammy Tutterow is a fun loving cling foam (EVA) rubber stamp that will make your craft projects come to life. Stamp is designed to be used with an acrylic block. From the inky hands of an industry leader, Tammy adds more of her hand lettered and illustrated stamps to her Happy Grams Collection in this third installment. Enjoy her fun loving and quirky messages and add them in your next project. Approximate Size: 5.0 x 3.75 in. Love themed Impression Obsession cling stamp featuring a girl with heart shaped glasses. Impression Obsession cling stamp featuring a heart and a pair of doves. Impression Obsession clear stamps featuring love elements, including hearts. This is a clear photopolymer stamp set measuring 4 x 8 inches. Our clear stamps are made in the USA from the highest quality photopolymer. Impression Obsession cling stamp featuring flowers. Sweet couple celebrating Valentine's Day on a park bench with chocolate. "It's a love thing". Set of 2. 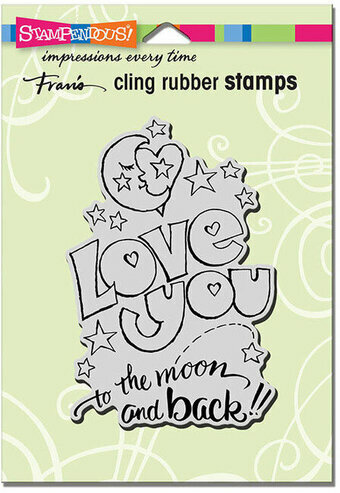 Love themed Impression Obsession cling stamp featuring a Love Thought Balloon. Clear stamps featuring an oval shaped frame and the sentiments "XOXO", "Loved" and "Love and be". Waffle Flower Crafts Clear Stamps. Ideal for cards, scrapbooks, stationary and other crafts! Position stamps on a clear acrylic block and stamp. Easily remove stamp from block and return to the transparent backer sheet when ready for storage.